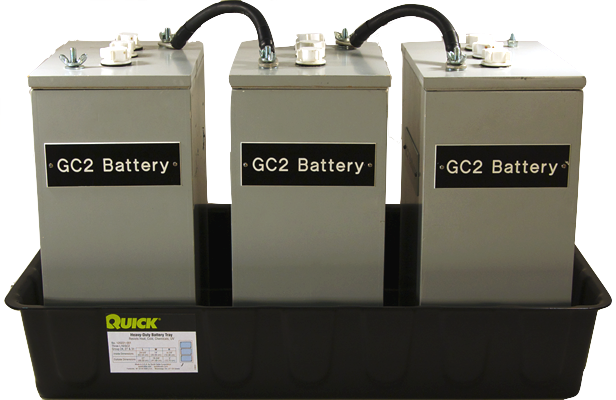 We stock single battery and multiple battery Commercial Battery Trays from QuickCable for a variety of heavy duty commercial batteries. Call and speak with one of our specialists to order today, or send our sales team a message using the contact form on this page! QuickCable's Commercial Single Battery Trays are constructed with heavy gauge material (HDPE) to make them durable and entirely resistant to acid, gas, oil, and solvent spills. 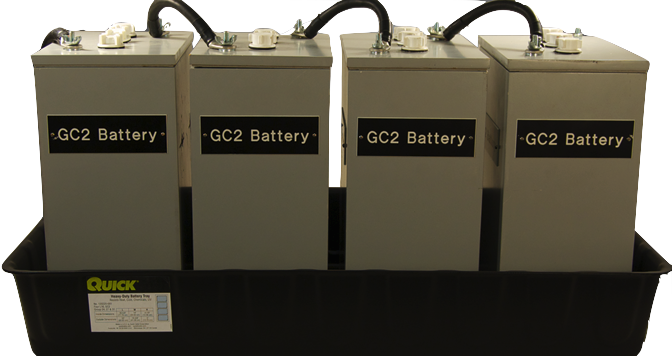 With these battery trays you can create unique battery layouts (side-by-side, end-to-end, spaced close together or far apart) for easy moving or removing of batteries during maintenance. Internal LxWxH: 12.75" x 7.25" x 10"
External LxWxH:16.2" x 9.6" x 10"
Internal LxWxH:10.5" x 7" x 9.5"
External LxWxH:13.5" x 9.25" x 9.5"
QuickCable's Multiple Battery Trays are constructed with heavy gauge material (HDPE) to make them durable and entirely resistant to acid, gas, oil, and solvent spills. These battery trays can hold two, three, four or more batteries, depending on their width and orientation. Internal LxWxH: 30-5/8" x 14" x 4-3/4"
External LxWxH: 33" x 16-3/8" x 5"
Internal LxWxH: 24-5/8" x 14" x 4-3/4"
External LxWxH: 27-1/4" x 16-3/4" x 5"
Internal LxWxH: 46" x 21-1/2" x 4-3/4"
External LxWxH: 49" x 24-1/4" x 5"
Call for pricing! 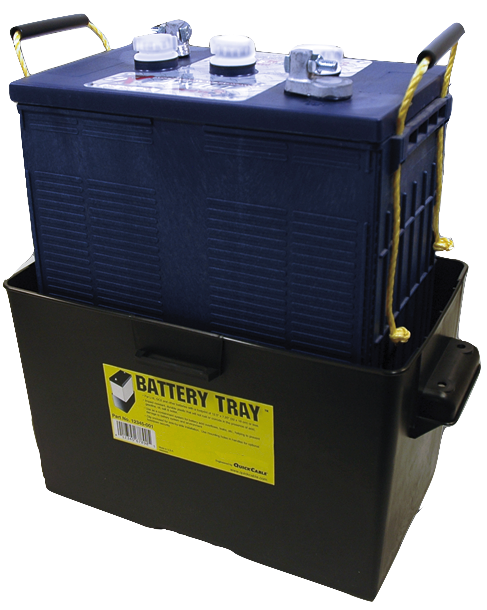 Commercial Battery Trays are available for pick-up or delivery.